This article is based on 6 things Nick Ruskell from Kerrang wants. We made some adjustments. Angela Dorothea Merkel is a German politician serving as Chancellor of Germany since 2005. She served as the leader of the centre-right Christian Democratic Union from 2000 to 2018. She shaped the current political situation in Europe. We do not really require Rammstein singing in English. There are side projects like Lindemann and Emigrate to play with English words. We think that Till Lindemann is especially strong in writing German lyrics with double meanings. This cannot be so simply achieved in English, since this is not his mother tongue (and he confirmed this in the “Amerika” song by saying “This is not my mother’s tongue”). We expect only German songs, because there are zillions of other bands singing in English already. Andrew Berwick, is a Norwegian far-right terrorist who committed the 2011 Norway attacks. On 22 July 2011, he killed eight people by detonating a van bomb amid Regjeringskvartalet in Oslo, then shot dead 69 participants of a Workers’ Youth League (AUF) summer camp on the island of Utøya. In July 2012, he was convicted of mass murder, causing a fatal explosion, and terrorism. Child labor is not a negligible social phenomenon in China; about 7.74% of children aged from 10 to 15 were working in 2010, and they worked for 6.75 h per day on average, and spent 6.42 h less per day on study than other children. About 90% of child laborers were still in school and combined economic activity with schooling. Now lets wait until May to see if any item from this list will become reality. 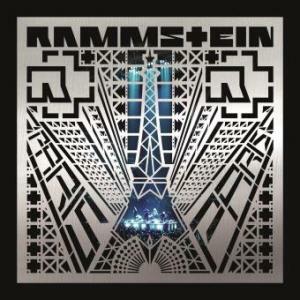 As Rammstein already confirmed, the new, untitled Rammstein album will be released on May 17, 2019! In 10 damn years you can pump 20 quality songs without a drop of sweat.